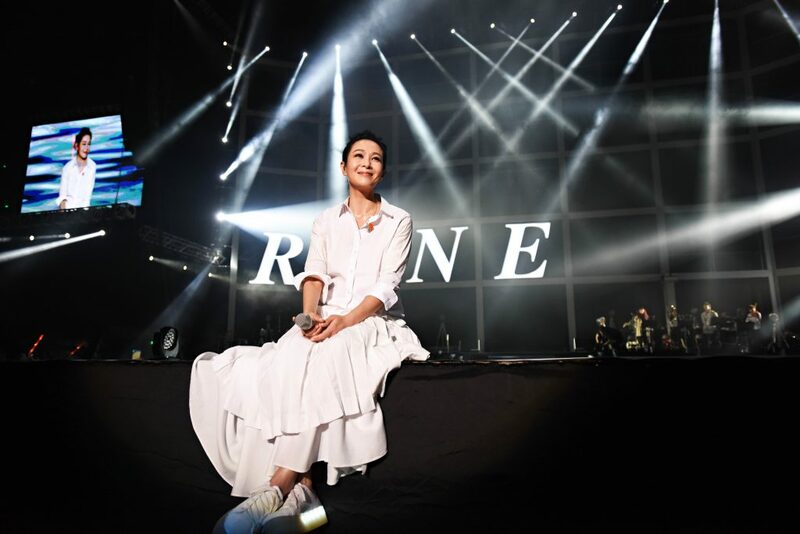 Liu is well-known amongst Mandopop lovers for her soft and mellow voice and graceful stage presentation. She has been in the entertainment industry for 21 years. 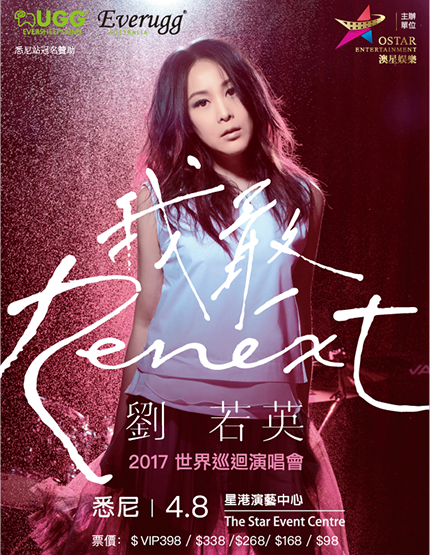 Apart from her wide recognition and accolades in movies and TV Drama, Liu won The Most Popular Female Singer and Hit FM Voice of Taipei Annual Recommended Singer awards. Her newest hit Wish You Well has also won a spot on the Top Twenty Hits at the Global Chinese Golden Chart ceremony in Beijing. Hits also include Crazy for Love, Love You So Much, When Love Is Coming and Dare to Be Lonely in Someone Else's Arms", among others. RENEXT World Tour features four chapters - “I Dare Love,” “I Regret,” “Missing You,” and “I Understand” - to represent one’s emotions and thoughts during different stages of life. Liu's concert will have lots of surprises. Apart from belting out her classics and newer hits, the choreography will be an audio-visual feast.